Our spa menu offers pampering, relaxing, and de-stress treatments, catering for among others couples, brides and pregnant moms. There is a comprehensive menu featuring rituals specifically developed for Rain and which are unique to our Rain Day spa. A symbolic ritual of purging and shedding of the old – old hurts, feelings, fears, old dead skin. A soothing body brush starts the treatment – signalling to the brain that a detoxification process has begun. Next comes the body‘s metamorphosis with a gentle skin exfoliation using Rain’s famous Body Polish – guaranteed to effectively slough away tired superfluous cells, and give your skin the chance to rehabilitate itself naturally. With a clean palette of fresh skin, a slathering of our uber rich Coconut and Shea Massage Cream is applied and allowed to slowly soak in while your body is kept snug and warm. Then the head is massaged with Biologie Scalp Conditioning Oil and then you are left alone for a few minutes to absorb and regroup. Lastly you will experience a soothing long stroke body massage and an ostrich feather body tickle to gradually bring you to the end of the transformation process. Initiation in Africa represents a rite of passage into a new phase of life, celebrated as a symbolic coming of age. Our ritual begins with an anointing of oil, where warmed coconut oil is slowly trickled through your hair or you can choose our nourishing Hair Mud Mask that will be applied and massaged through, giving your hair a boost of mineral goodness! In the manner of initiates in rural Africa, your entire body is painted with our Rain Relaxing Massage Oil, which will then be massaged in with long, strong movements with deep pressure applied all the way down your body, releasing pent up tensions. We complete the ritual by wrapping your head with an Iduki head wrap – the rite of passage is complete! The meeting of hot and cold creates circulation, and this inspired our Two Oceans sea themed treatment. 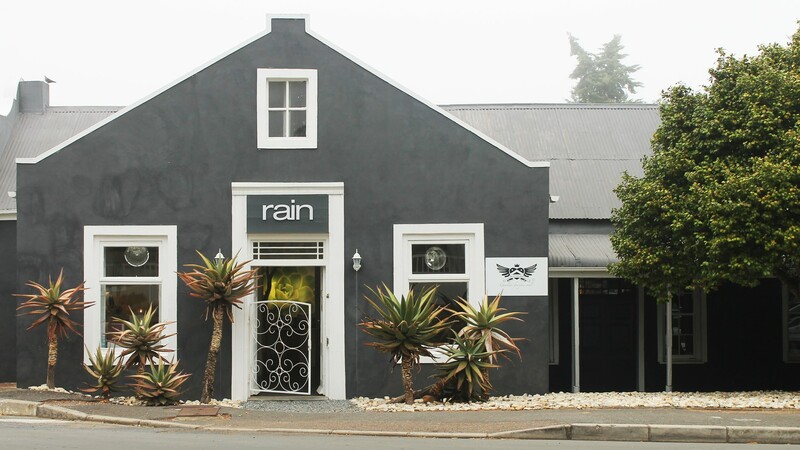 The heart and soul of our Rain brand is located less than 90 km from the southernmost tip of Africa where the hot tropical Indian Ocean Sea current meets the cold Aghulas Atlantic Ocean current. We make use of hot sea stones interspersed with quick cool bursts of an oceanic jelly to create currents of soothing and coolness, warmth and stimulation – all designed to promote circulation, while rocking the body with wave like pressure movements to promote relaxation. A wonderfully refreshing sea salt body scrub with skin nutrients is included. This treatment brings together the sense of touch, hearing and smell and helps you become fully aware of your body. Sounds of nostalgia evoke memories and calming happy thoughts. It could be compared to taking a two hour seaside holiday. An original Rain Dance massage, Inspired by tribal dance and choreographed to provide a synergistic rhythmic flow between guest and therapist. Movements are stretching, pulling, bending and manipulation of limbs to a gentle African rhythm - mostly applied to the back, neck and shoulders.. Rain’s delectable Marula and Shea Body Butter massage bar is used as a deeply enriching and nourishing skin butter, followed by steamed herbal cloth balls, which are used to release pressure and tension – all in harmony with the specially sequenced tribal music. As your sole is often a reflection of your soul, we focus our full attention on treating your feet to bring you to a place of deep and penetrating relaxation. 72 000 nerve endings are found in your feet. They take the brunt of life’s journey – especially in Africa where they are a primary mode of transport over rough and dusty terrain. A cleansing water ritual with a twist encourages you to begin your stress release. The therapist will make use of a caterpillar milk technique© to encourage lymph drainage in your legs and to ease the tension from your body, making relaxation irresistible and inevitable. A Rain healing balm with wild harvested organic active ingredients will then be applied, slowly bringing you back to consciousness. You will awaken feeling re-energised with a spring in your step. This is as close as a treatment gets to a warm hug. The experience is one of being cosseted in a cocoon of warmth and chocolate. A comforting indulgent and deeply relaxing experience that will leave you feeling limp and decadently nourished by a melted chocolate massage. 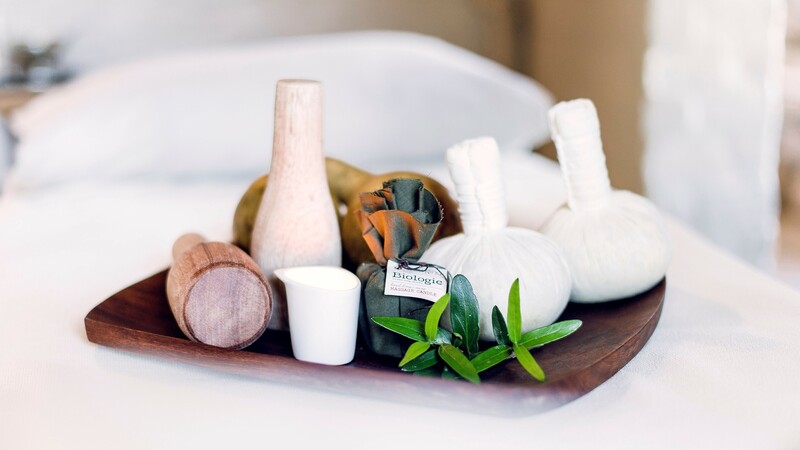 Or choose a Warmed Sleep Balm massage, infused with sleep inducing herbs of valerian, chamomile, lavender and hops that are massaged into the skin to enable you to drift in and out of a richly fulfilling sleep. You are gradually awakened by a face massage under a cooling wisp of silk as the massage cocoon begins to unravel, enabling you to emerge and take flight as free as a butterfly. Come with us to the plains of Africa and share the rhythm of the elephant! Our massage technique used here is inspired by the elephant’s walk. As you lie down and let your body grow heavy, you will feel the imaginary sensation of an elephant walking over your body as your therapist uses a calabash to apply firm pressure up and down your muscles, followed by pressure pounding. With each phase of the massage, you will feel the deep pressure begin to release the tension in your muscles. Next you will feel the warming sensation of the African sun being poured over your body in the form of our Rain Massage Candle! Made with cocoa butter and Ghanaian shea butter, it melts deeply into your skin carrying omegas, antioxidants and plant actives into your dermis and epidermis. You will then experience a technique using a unique hammer and chisel, designed to tap into your muscles and release the last bit of tension that might still be there. It sends a vibration into your muscles and allows the toxins to be broken down. Blissful pure relaxation is the inevitable end result. A few years ago we branched out to launch our Spa with Soul concept in the beautiful, historic town of Swellendam. 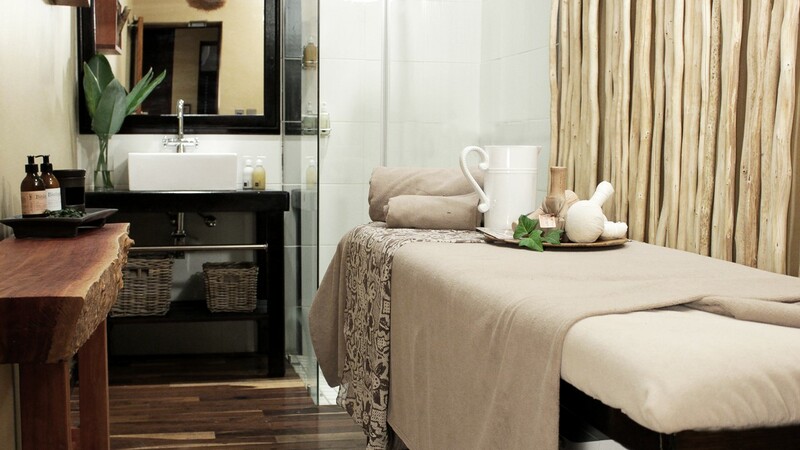 The Rain Forest Day Spa employs qualified therapists with a passion for natural wellness and beauty from within. Our spa menu offers pampering, relaxing, and de-stress treatments, catering for amongst others couples, brides and pregnant moms. There is a comprehensive menu featuring rituals specifically developed for Rain and which are unique to our Rain Day spa.